As part of a wave of new suspensions, Twitter took down several far-right accounts that had been retweeted by President Donald Trump. 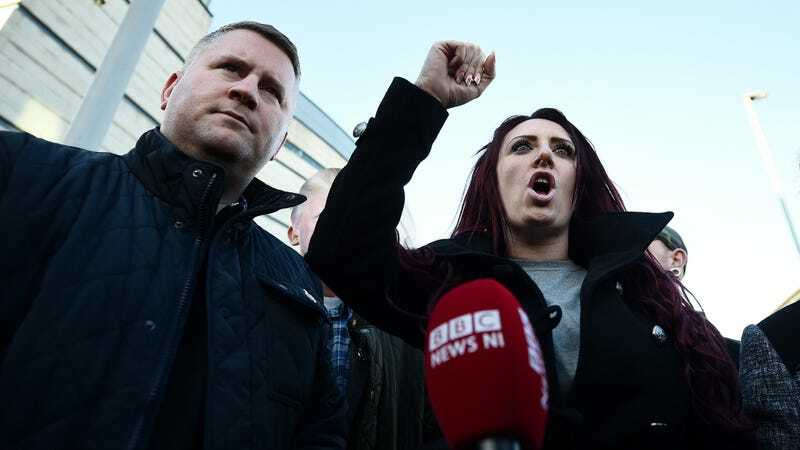 The suspensions of the Britain First account, as well as those of leader Paul Golding and deputy leader Jayda Fransen, appears to be part of Twitter’s new promise to crack down on hate speech and violent content on the platform. Trump retweeted several videos posted by Fransen in November, including one that depicted a teenager being pushed off a roof. His retweets came as he was trying to drum up support for a travel ban targeting Muslim countries. Because Fransen’s account is suspended, these videos have finally disappeared from Trump’s Twitter feed as well. Twitter faced backlash for not removing the violent videos at the time, and it struggled to justify the company’s decision to keep them online. Initially, Twitter seemed to indicate that the tweets were left up because of their newsworthiness, but later said they were allowed under the company’s media policy. As The Daily Dot notes, White House press secretary Sarah Huckabee Sanders defended Trump’s decision to retweet the videos. “Whether it’s a real video, the threat is real and that is what the president is talking about,” she said. Golding and Fransen are far from the only accounts affected by Twitter’s newest purging of extremism from its platform. White supremacist organization American Renaissance and its editor Jared Taylor—long since quarantined on YouTube—were suspended today. Also removed were accounts associated with the Traditionalist Workers Party, the League of the South, Generation Identitaire, and American Vanguard, all groups which made regular showings at political rallies which often became violent. Amid the steady removal of smaller accounts with obvious associations to neo-Nazism, the question remains if Twitter will act against these movements’ loudest enablers. Previous suspension efforts took aim at low hanging fruit like the attention-starved Tim “Baked Alaska” Gionet, but failed to move against far-right figures like Mike Cernovich and Richard Spencer, whose accounts remain active on the site.